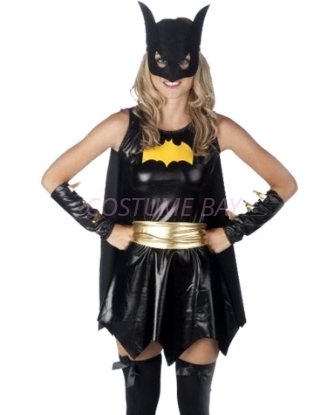 This lovely costume features Batgirl dress with attached cape, mask, belt and Armbands. It will definitely fulfil your dream of Superhero! This lovely costume features strapless stretch mini-dress with golden belt. The Super Woman logo and highlights, and all the accessories to transform you into the perfect superhero you are. This lovely costume features stretch supergirl dress in blue and red color matched with golden belt. 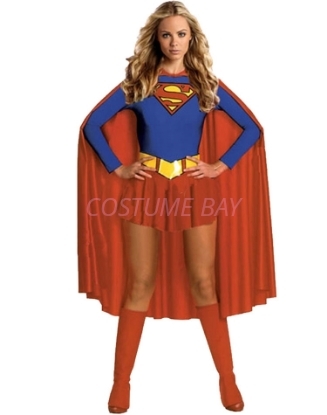 The dress plus the long red cape transform you into the perfect Super Woman you are to save the world! 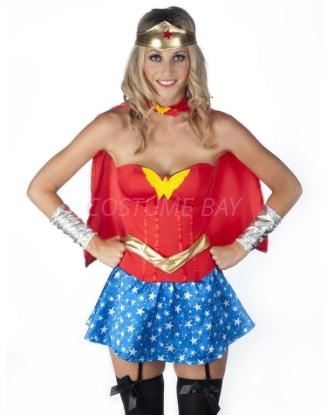 We are confident that you won't find better price and better quality Wonder Woman Costume anywhere in Australia! This lovely costume features strapless stretch mini-dress with golden belt. Gold logo and highlights, and all the accessories to transform you into the perfect Wonder Woman you are.